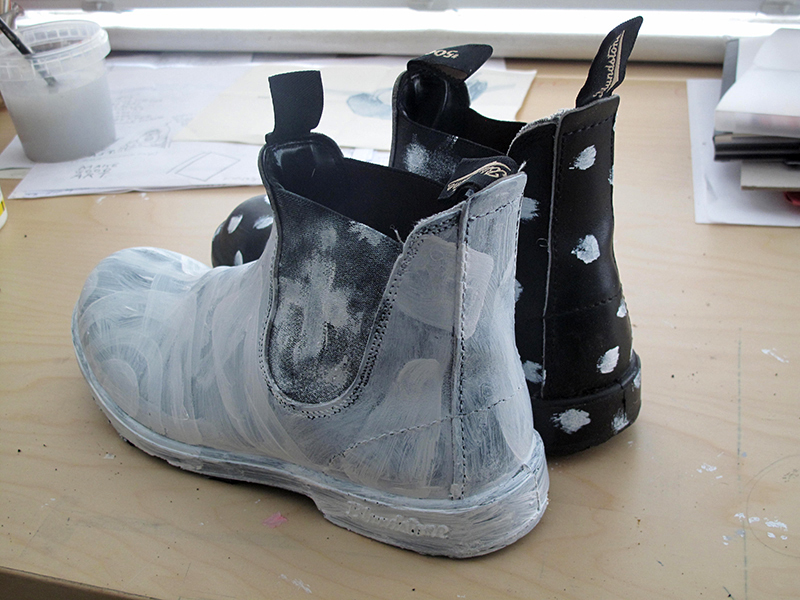 My favourite boots gave up the ghost all of a sudden, so I have upcycled them with house paint and will now be able to wear them to weddings or summer parties where everyone wears white clothes. It took a lot of paint, the elastic sides are very absorbent and I have size 10 feet. But I will get another day out of them.